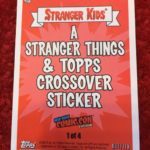 After debuting at last weekend’s New York Comic Con, the new Stranger Kids set is now available for purchase online. 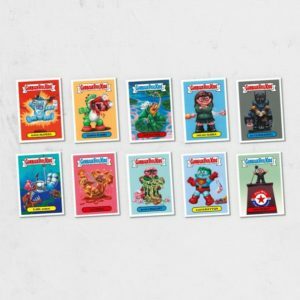 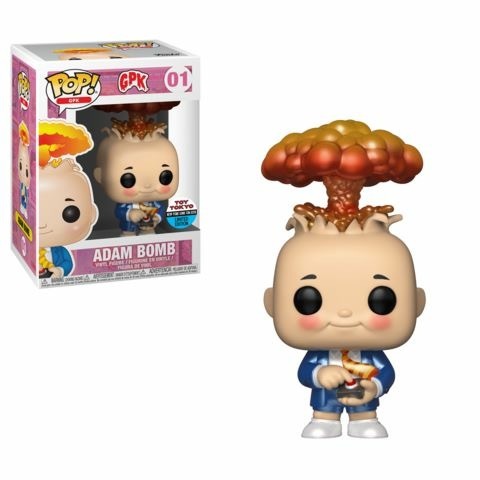 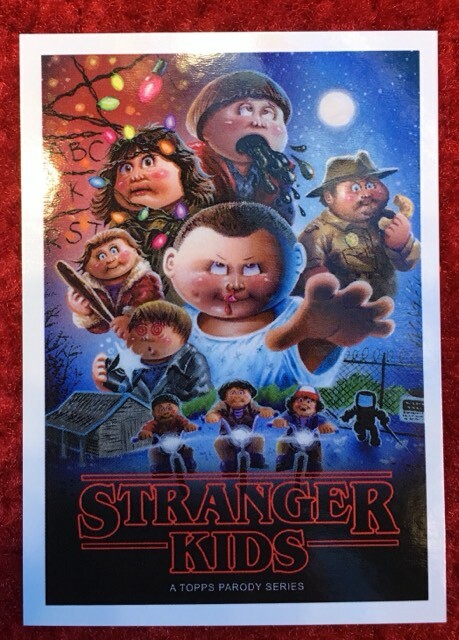 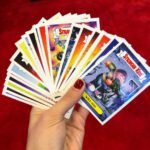 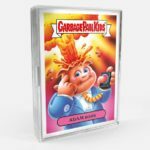 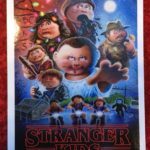 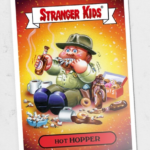 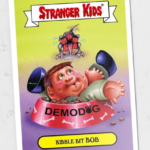 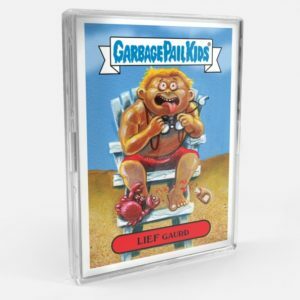 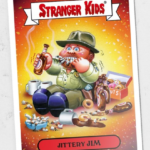 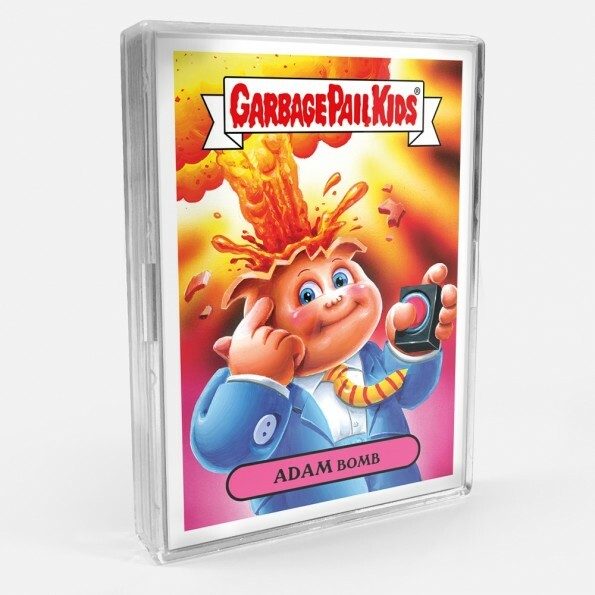 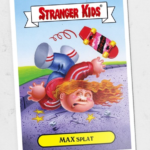 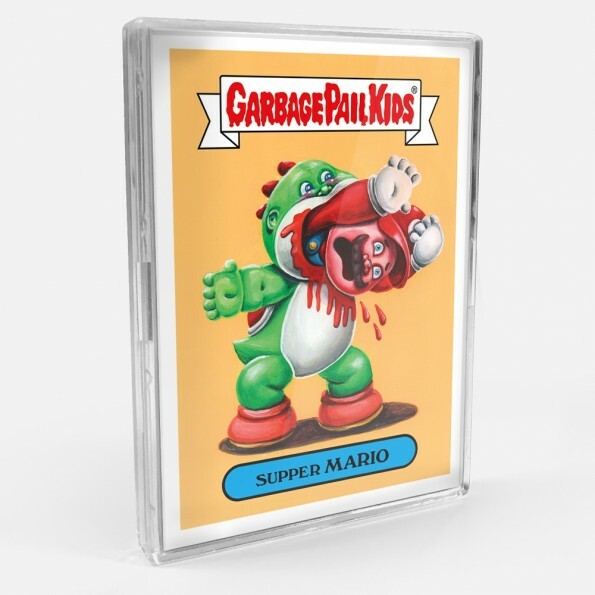 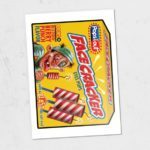 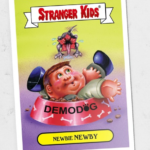 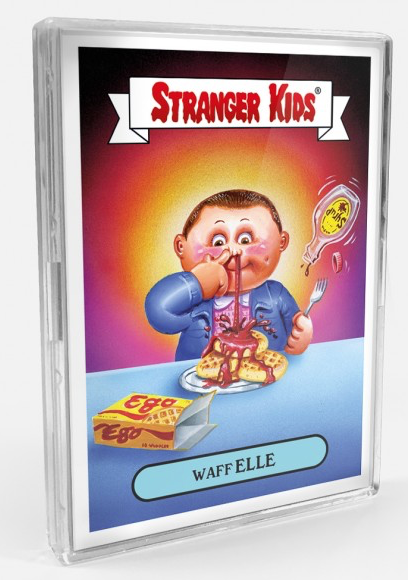 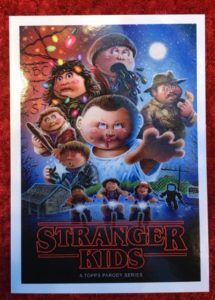 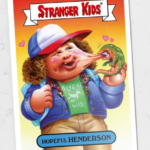 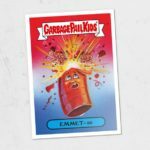 Today Topps officially launched 2018 Garbage Pail Kids & Stranger Things “A” and “B” sets. Just like at NYCC, the 40 card set is being offered as two separate 20 card “A” and “B” name sets. 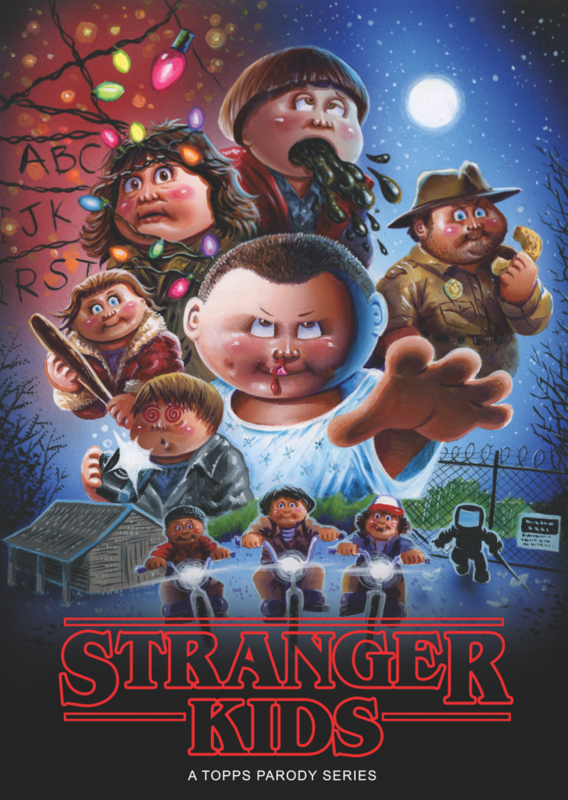 All the artwork in the set was completed by artist Joe Simko. 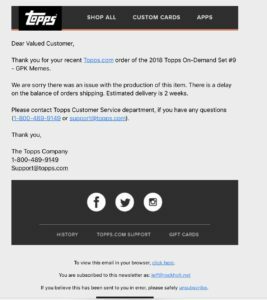 Each set is available to purchase for $19.99. Shipping is free within the US via the SmartPost option, while international shipping is $10. 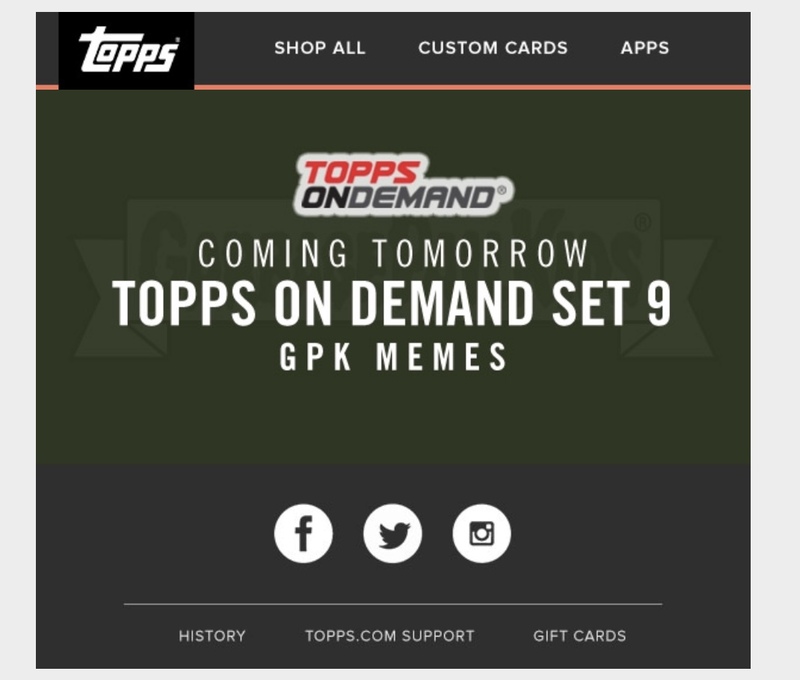 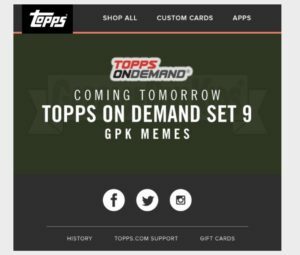 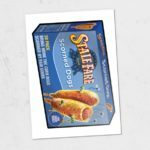 The sets are available on topps.com for sale for a longer than usual 90 days. 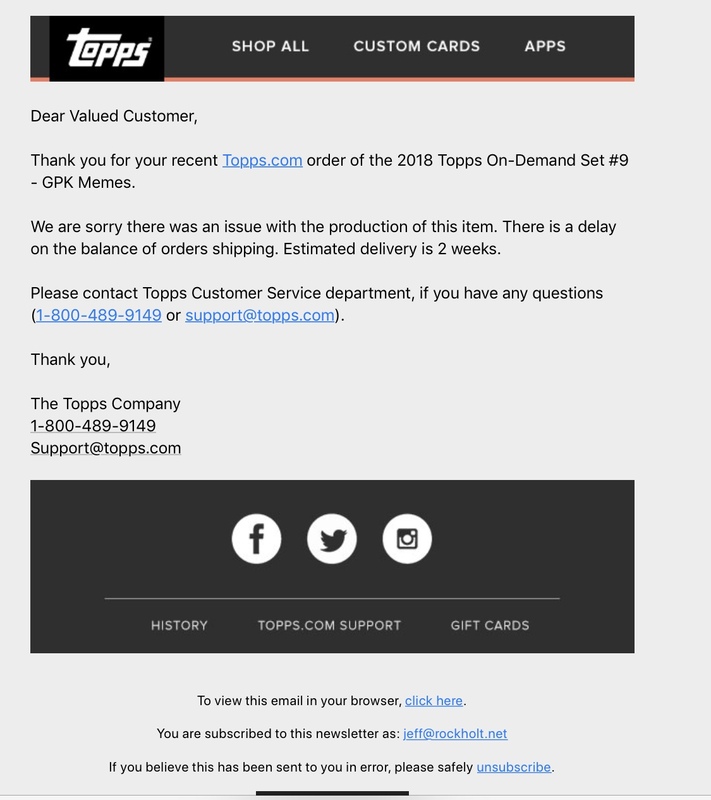 Topps does say the print run for the sets will be revealed at the end of the sale. 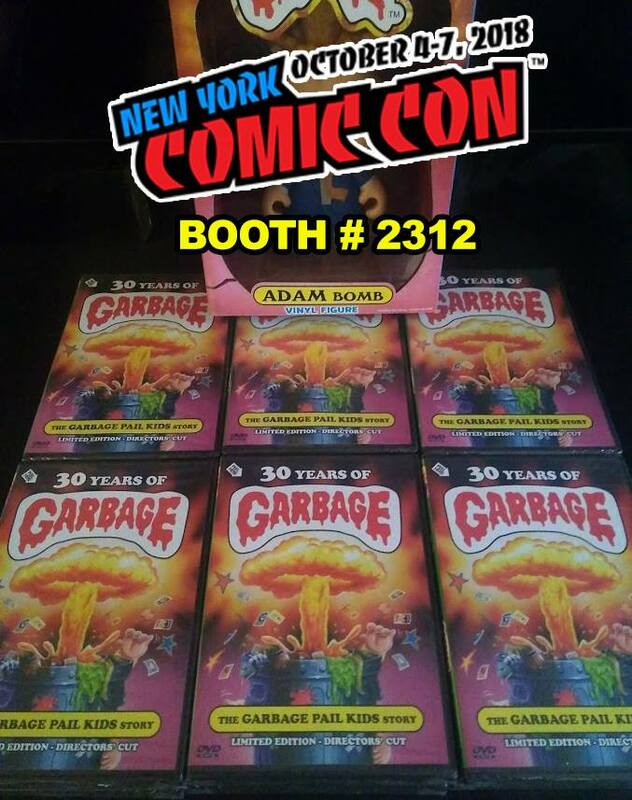 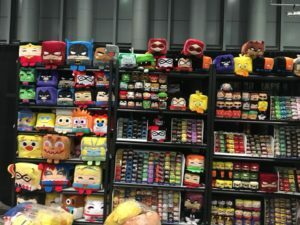 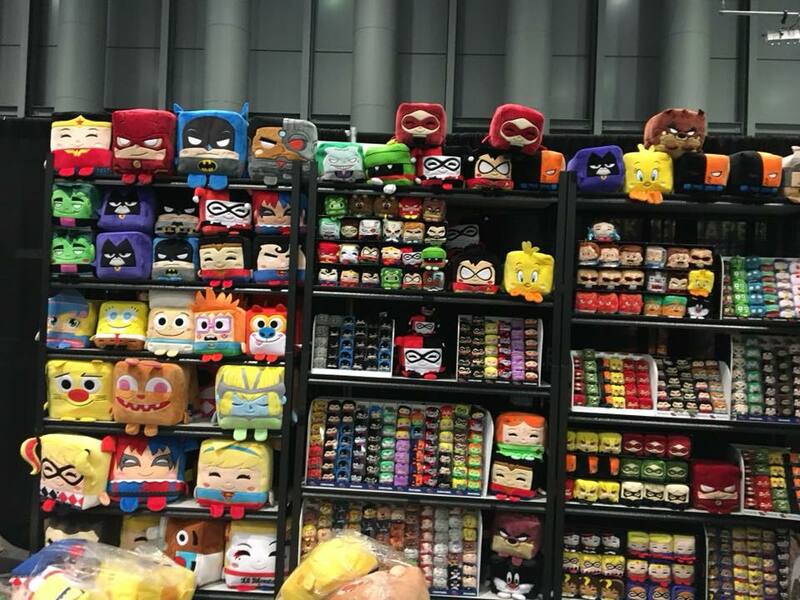 No word yet if the print run will include NYCC purchases. 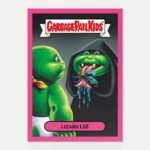 The four bonus cards available at NYCC are not available with the set online. 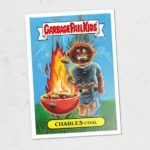 Here is the checklist of both sets along with a few pictures of the cards.